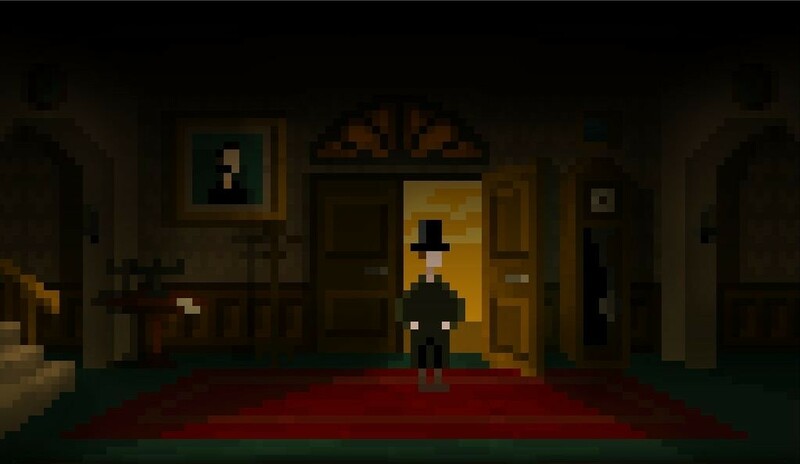 I’ve played many adventure games over the years, but rarely one as unsettling as The Last Door: Chapter 1 (TLD1). From the moment you arrive at the mansion, it’s crystal clear that something horrible took place here – something or someone want to remain a secret. That won’t be the case much longer if you have anything to say about it though, because one way or another, you’re determined to find out why Anthony sent that letter and exactly what is going on. This means you’ll be doing a fair amount of detective work as you explore the mansion, solving puzzles and reading letters left behind to help make sense of it all. 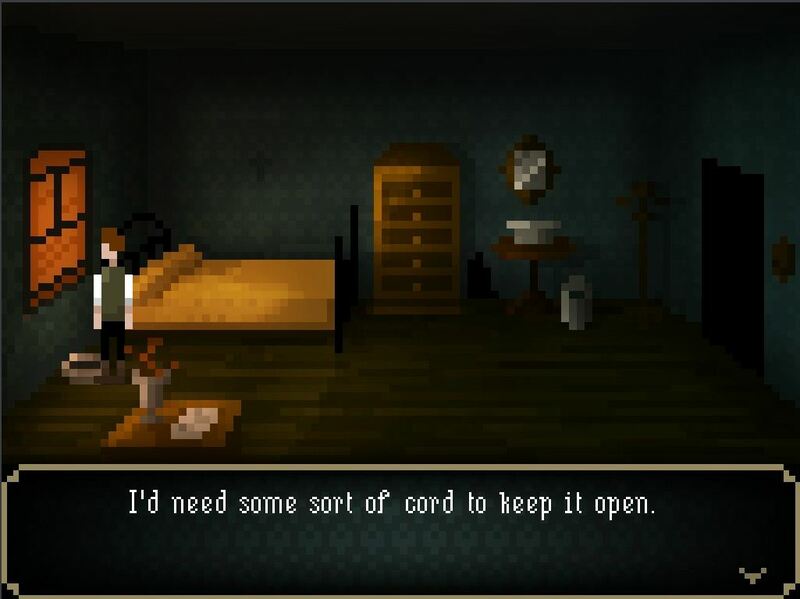 Controlling J. Devitt and getting him to do exactly what you want is made easy by a streamlined interface – the game automatically switches between ‘look’ and ‘interact’, as you move your mouse over various objects. One might think that such a limitation would lessen the experience, but that’s definitely not the case. Instead, it makes everything flow more smoothly – less downtime, more fun. The same can be said about the puzzles as few of these are likely to have you scratching your head; even more so due to the fact that mr. Devitt has this uncanny habit of dropping obvious hints when facing a new obstacle. Some may find this to be helpful while other are bound to be slightly annoyed by it. Personally, I saw it as him simply thinking out loud, trying to figure out what to do on his own, even though we both knew he only did what I told him to – within the confines of the game, of course. Throughout the course of TLD1, you’ll be walking back and forth between the same rooms quite a bit, something that can be described with two words: “backtracking” and “boring”. 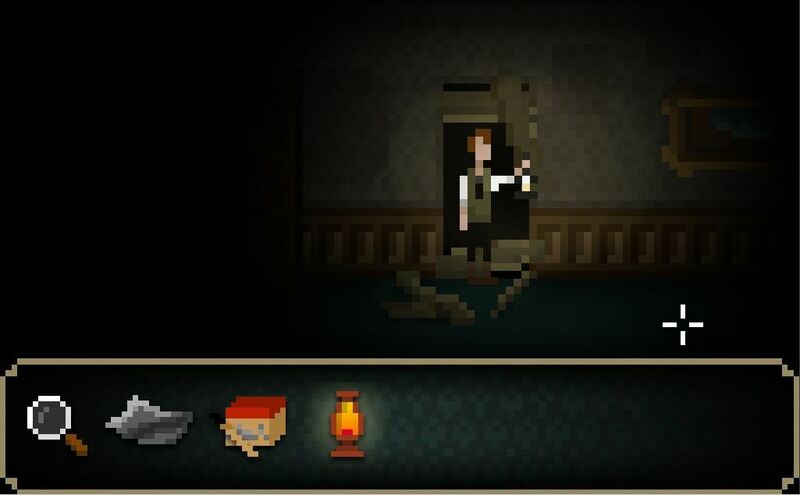 Although in this game, you thankfully have the option of skipping the entire animation and simply ‘teleporting’ to a previously visited room – why can’t more adventure games do it that way? It’s not that I didn’t enjoy the pixelated art style and wanted to move around as fast as possible, quite the opposite in fact. I simply wanted the story to move along, instead of having to slowly wander through the same areas, so here’s a big ‘thank you’ to the person responsible for that shortcut. Since this adventure is fueled by suspense and mystery, chances are it would lose momentum fast without proper music. As such, it’s a good thing that each of the instrumental works you’ll get to experience all do an equally great job of keeping you somewhere between unnerved and frightened. It’s a chilling experience for sure, but at the same time it’s also one that keeps the gore to a minimum. Besides, isn’t the most suspenseful horror the kind which is hinted at, rather than shown? After wrapping up this first first part of the trilogy, I was knee-deep in a thrilling mystery, one that I felt a strong desire to solve. With a bit of luck, it seems I won’t have to wait much longer either, as the second chapter should be just around the corner – provided it gets funded. Head on over to the donations section of their website to help out, and while any amount will let you access the first chapter, I’m sure they’d appreciate a bit more than the minimum. So what are you waiting for? There’s no chance of J. Devitt figuring this one out himself, try as he might!